We worship as one body, at our Lord’s invitation, to praise our God and Father. We gather around Word and Sacrament, celebrating Holy Communion every Sunday and constantly remembering our Baptism. We believe that worship is not meant to be rigid, stuck in a rut, being slaves to only one liturgical expression. We proclaim the mysteries of faith, and participate in the ongoing story of our salvation. Our musical style is diverse and blended. We embrace traditional hymnody, contemporary Christian, and music from other cultures. While it is important to remember that you are attending a church, so modesty is appreciated, we also want you to be comfortable. You'll see people dressed in everything from jeans to business suits at our services. We're pretty sure God doesn't care what you wear, so we don't, either! Can I take Communion if I'm not a member? All baptized Christians are welcome at our Lord's table. We encourage everyone, whether a member of our congregation or a visitor, to share the Communion meal with us. Children who have not yet received Communion instruction are invited to come forward with their parents for a blessing. What do you have for kids? 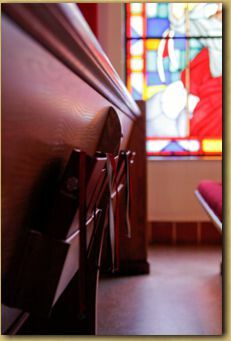 We offer Sunday School at 10:15 every Sunday. All kids are invited for Bible stories, arts & crafts, and more! What do you believe? You can get a better understanding of what we as Lutherans believe by checking out our Mission Statement.